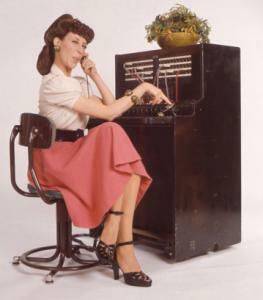 Does your phone support call waiting caller ID? I believe so; prior to ooma, my telephone service had call waiting, but that beeped & the number would show up. With the second line... it's as if the phone doesn't "know" there is another call coming in. But maybe it's a matter of me playing around with the phone receiver....??.... I will take a look tonight. So it seems it was a "phone" issue. When the second line rings, most phones will display the caller id of the second call coming in. Pressing "flash" gets you to the other call & puts the current call on hold. Flash gets you back to the other line. boyajan wrote: So it seems it was a "phone" issue. When the second line rings, most phones will display the caller id of the second call coming in. Pressing "flash" gets you to the other call & puts the current call on hold. Flash gets you back to the other line. When you say "line" did you really have 2 lines with 2 different numbers, or was the phone company just signalling your in-use line that you had a second call? If the second line rings, you will hear the call waiting beep on the phone in use and you will see the number on the phone in use also. That's how it has always worked for us. I'm assuming that you're talking about the second line feature on a shared scout rather than a second number on a dedicated scout. Exactly... I am referring to the second line feature on shared scout. And yes, it does exactly what you describe - the same as call waiting. For some reason, one of my phones was not behaving that way. Problem resolved... thank you!! !